B2B lead generation companies often face some unsavory situations when they have to tackle over-aggressive customers. These customers tend to blame B2B lead generation companies for any failures or shortcomings and even threaten to cancel the contract at slightest of provocations. Building a business relationship requires the investment of huge amounts of time and resources and losing a client for no fault of your own can be very demoralizing. You should have a clear idea about how to tackle over-aggressive clients and avoid being blamed for something for which you are not responsible. The best policy for B2B lead generation companies is to avoid taking over-aggressive clients who are likely to blame them for their own incompetency or situations. However, identifying such customers is not an easy task. It is prudent to identify the factors that may give you an idea about a customer being unjust or moody. You should be wary of customers who are new to their positions or unsure of their capabilities. These are likely to shift the blame to someone else whenever a tricky situation arises. Similarly, inexperienced companies starting a new business or moving over to some new business could prove to be problematic sooner or later. They tend to apply rules that worked in their previous industry or they are still searching for a set of rules, and this lack of stability makes them somewhat dangerous. First and most important principle in such situations is not to lose your head. It’s frustrating no doubt, but you are not going to gain anything by venting your anger or losing control. Trying to salvage whatever may be salvaged is the best policy under such difficult situations. If some part of the contract can still be applied, explore such possibilities. Try to get in touch with someone higher up in the company hierarchy to see if the decisions taken by these people may be overturned. If nothing else is possible, it’s best to part ways gracefully, any sparring is going to create nasty situations that will bring you bad name. 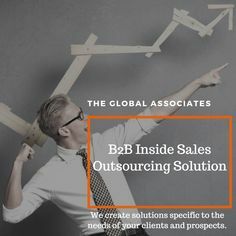 B2B lead generation companies work under difficult conditions and have to face fierce competition, avoiding over-aggressive clients is always advisable. If such a situation does arise, you should part ways gracefully and look ahead.